Take a little break and train while relaxing with the brand new Book of Training! Now you can hit some training scarecrows to hone your skills while focusing on equally as important tasks! Huge tweaks to the Savage Rift will allow for more flexibility and a new event boss has been added. Can your team slay the Savage Ogre? Round up your crew because the Squad Up! Event is now here! 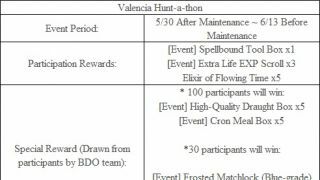 Work with your Guildies for special treasure and fun bonuses. All of these along with even more exciting changes are here so continue on to the rest of the notes! ◈ Squad Up! Event is here. • Have you been enjoying double the Silvers and Guild EXP from the latest Guild events? For this newest addition, collaborate with your Guild members to complete missions and get your hands on special treasure chests! • Click <Here	> for full details on the event. ◈ Conquer Savage Rift! Event has been added. • Try conquering the revamped Savage Rift as bonus rewards await! • Click <Here	> for more on this new Savage Rift event. ◈ Book of Training - Combat and Book of Training - Skill items have been added, and also Black Spirit's Training system has been added. • Book of Training will allow you to go through Black Spirit's Training which will train you physically through combat and gain you either Combat EXP or Skill EXP. 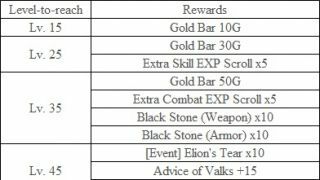 • You can purchase Book of Training from NPC Jamey Drucker in Velia, Heidel, Calpheon City, Altinova, and Valencia City. • If you use the Book of Training in your Inventory (I), a Book of Training buff icon will appear on top of your screen. • While Book of Training buff is in effect, you can Interact (R) with the scarecrows of each town to proceed with the training. -There are different number of scarecrows positioned in each town, but please keep in mind 1 scarecrow can be occupied by 1 adventurer at a time. ◈ You can gain the relevant EXP (Combat or Skill) every 3 minutes of training. • Even if you pause your training after 2 mins., you can train 1 more min. afterwards to obtain your EXP. However, training time will be reset if you close your client or change characters. ◈ You cannot perform any other action while training, the amount of Combat EXP you gain will vary depending on the level of the character you are training with. 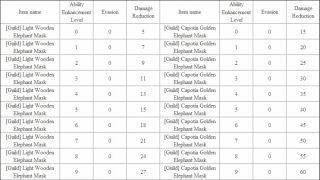 • You cannot perform any other action while training, the amount of Skill EXP you gain will vary depending on the amount of Skill Points the character you are training with holds. • Book of Training - Combat can only be used with characters of Lv.50 and above. Combat EXP obtained from Book of Training will be up to 99% of the current level of the character; this means Book of Training cannot be used to level up the character. • Book of Training - Skill can only be used with characters of Lv.50 and above. 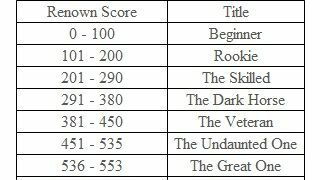 Once a certain amount of Skill EXP is gained, Skill Points will be obtained. ◈ Combat EXP gained from Black Spirit's Training can be altered as it is affected from all EXP buff effects. 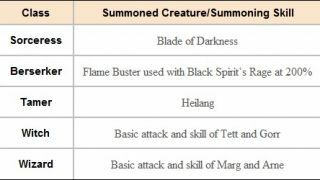 • Fever Time and event EXP buffs, Pet skills, Book of Combat, Golden Bells and Elixirs, Olvia Server boosts will all add on to the Black Spirit's Training when training for Combat EXP. 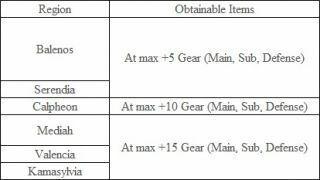 • Book of Training - Skill effect cannot stack and items that add onto increasing and obtaining Skill EXP will not be stacked as well. ◈ Book of Training can only be used with characters of Lv.50 and above. • Book of Training - Combat and Book of Training - Skill items can be used together. • For example, if you Interact (R) with a scarecrow while Book of Training - Combat and a Book of Training - Skill buffs are both in effect, you can obtain both Combat EXP and Skill EXP after a certain period of time. • Even if you don’t stop interaction with the scarecrow while in progress of Black Spirit's Training, Book of Training can be used. • While in progress of Black Spirit's Training, food and elixir items can be used. • Please note that you need to have both your Main Weapon and Sub-weapon equipped in order to Interact (R) with a scarecrow. • Total duration of Savage Rift has been reduced to approximately 20 minutes. 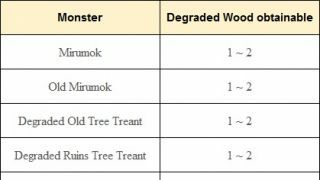 • Number of monsters in monster raids have been reduced by 40%. • The Savage Rift Reward Box which you can get for protecting the Sealed Tower from certain stages of monster raids will give slightly less rewards upon opening. 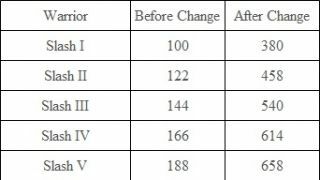 • EXP gained has been reduced by 40%. 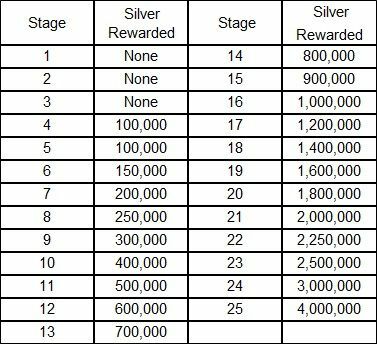 • While the rewards obtained through a Savage Rift have been reduced, the reduced play time should allow players to participate in more Savage Rifts and gain more rewards overall. • Trace of Savagery will be given with 100% chance upon opening a Savage Rift Reward Box. 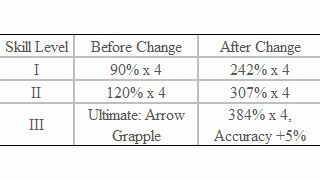 • The Cooldown of the Hwacha and Lynch Cannon in Savage Rift has been reduced by 50%. ◈ A new event boss, Savage Ogre, has been temporarily added to the Savage Rift. • The Savage Ogre will only appear for 2 weeks as an event monster. • Defeating the Savage Ogre will yield an ‘[Event] Savage Rift Reward Box’ containing a Soiled Ogre Ring and Trace of Savagery at a 100% chance. • Please Note: Failure to defeat the Savage Ogre will result in receiving rewards equal to completing 20 stages of the Savage Rift only! Please try your best to defeat the Savage Ogre with your group for the additional rewards! ◈ It has been changed that items produced form Guild Crafting can be stacked in Inventory. • If you have the relevant items in the Inventory separately in Inventory, you can store them in Storage and retrieve again to have them stacked in Inventory. ◈ Auto-navigation has been improved near Western Guard Camp. ◈ In preparation of Remastering of Black Desert Online, High-End Mode (Beta) under settings will not be available. ◈ The Pearl Abyss company logo animation has been changed. ◈ Game performance when many players are gathered in one area has been improved. 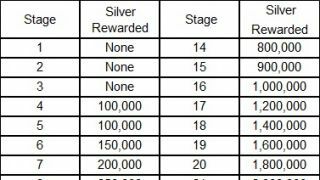 ◈ The Guild Bonus system has been changed in order to alleviate the inconvenience that can arise from a week-long waiting period of Guild Bonus distribution. • The week-long waiting period for the distribution of Guild Bonuses has been removed, and Guild Bonuses will reset every midnight (00:00 UTC) on Saturdays. • From midnight of every Saturday (00:00 UTC) to the midnight of following Saturday (00:00 UTC), Guild Bonuses can be distributed regardless of which day you decide to distribute. 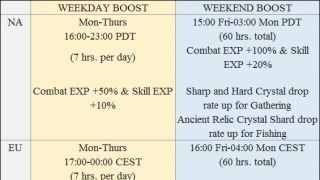 -If Guild A accepts Guild Bonuses on a Tuesday at 20:00 (from a cycle from Sunday to Saturday), that Guild can claim the Guild Bonus again after the count resets on Saturday at midnight without having to wait a full 7 days cooldown as before. This should allow for more flexibility when distributing Guild Bonuses. ◈ Floating airships will now circle around the skies of Calpheon, Heidel, Altinova, and Velia. • These airships cannot be boarded. Please do not try it. ◈ The issue of being engulfed in instant darkness upon entering your Residence has been fixed. ◈ Fixed the issue where the arrow would not be displayed upon checking node war information in World Map (M). 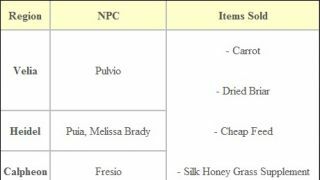 ◈ You can now sell items to Stable Keeper NPC Melabee. ◈ Fixed the issue where some NPCs were overlapping with the background inside Ibellab Oasis. 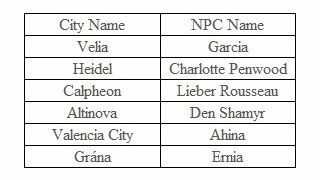 ◈ Fixed the issue where NPCs were placed inside certain Residences in Valencia. ◈ NPC Hervano Tito in Eastern Gateway has been relocated. ◈ The NPC that exchanges Faded Metal Shard in Florin has been renamed to “Villager”. ◈ Fixed the graphical awkwardness that occurred when greeting the Guild Military Supply Manager NPC of Velia. ◈ Stamina will no longer be consumed when Jumping or Sprinting during non-combat mode. • In Combat Zones, Character Selection will only be allowed when the character is on standby. 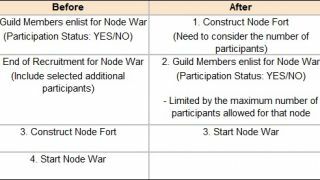 • In Combat Zones, Character Selection will not be available for a set amount of time after resurrecting from a node, or after logging into a character. • In Combat Zones, Character Selection will be available while on a mount but only when on standby. • In Combat Zones, Character Selection is not allowed when your character is on Auto-run. • In Combat Zones, Character Selection is possible underwater on standby and when rising to the surface due to lack of Stamina, but Character Selection is not allowed while swimming or moving underwater. • In Combat Zones, Character Selection is possible when a weapon is drawn or withdrawn and the character is on standby, but Character Selection is not allowed in other instances where the character is performing a skill of moving. • In Combat Zones, Character Selection is not allowed during and for 5 sec. after the Invincible effect is applied after resurrecting from a node. • Even in Combat Zones, Character Selection is allowed when carrying a load on your back. • In Safe Zones, Character Selection is always allowed. ◈ Fixed the issue where using the skill Solar Flare with 100% Black Spirit's Rage would result in a falling movement even in low high situations. ◈ Fixed the issue where the skill Grave Digging III launched with Black Spirit’s Rage did not apply damage properly on the skill’s last hit. ◈ The skill description using Black Spirit’s Rage has now been expanded and will be displayed in a separate window. ◈ Fixed the issue where the character would perform the action of being attacked upon using the skill Spellbound Heart near a World Boss. ◈ Fixed the issue where your character would be paused upon using the skill Commune: Calling. ◈ Fixed the awkward movement that occurred when pressing T to go into auto-run after using the skill Target Chase in Sura Katana mode. ◈ Guard will now be released if Kunoichi’s stamina falls below 100 while using the skill Kunai block. 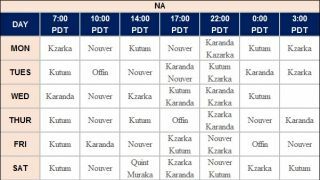 Kunai block will become available again once stamina recovers to over 400. ◈ Forward Guard effect has been added to the skill Flow: Bombardment. ◈ Fixed the issue where the flag appeared detached from the hand when performing the Social Action of Flagging. ◈ Fixed the issue where a falling movement came out when jumping while transitioning into non-combat mode from Crimson Glaives mode. ◈ Atanis Firefly which is a consumable item that works just like a Lantern has been added. • You can purchase Atanis Firefly from a General Goods NPC for 100 Silver in all regions. ◈ Fixed the issue where Gazelle Meat could not be sold to NPC shops. ◈ Fixed the incorrect description of the item Gazelle Meat. ◈ Fixed the issue where certain tables could not be withdrawn after they are placed in a Residence. 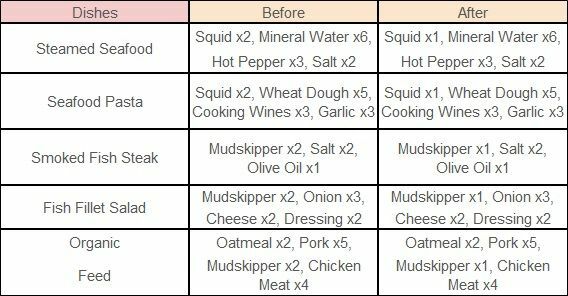 ◈ David Finto has published his research on “how to cook fish better” and as a result, the following recipes have changed. 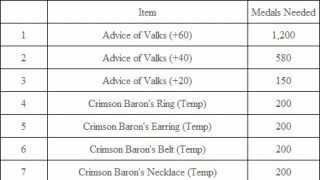 ◈ Text for Sub-weapons and certain accessories regarding Back Attack Extra Damage has changed for additional clarity. ◈ For details on newly added Pearl Shop items, please click < Here > to go to the Pearl Shop Update Announcement. ◈ More Swamp Nagas have been added near Extraction Mill. ◈ More Steel Imps have been added to the northwestern entrance of Western Guard Camp of Balenos. ◈ Fixed the issue where some monsters did not attack back the NPCs they were engaged in battles with. (This includes monsters in Trina Fort, Western Guard Camp, and so on). 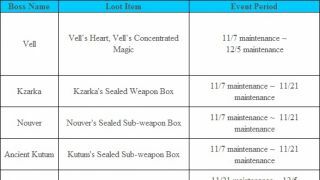 ◈ The loot dropped by Vell has been increased. • Number of Black Stones as loot increased by 100%. • Number of Gold Bar 10G as loot increased by 100%. 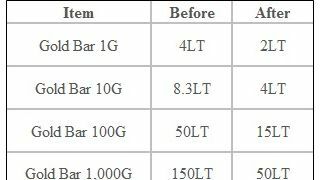 • Number of Gold Bar 100G as loot increased by 30%. 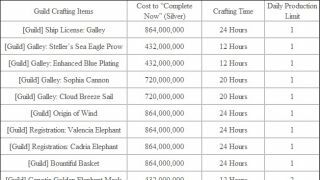 • Number of Coral Piece as loot increased by 25%. 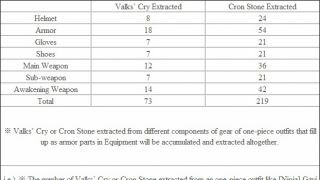 • Number of Cron Stone as loot increased by 30%. • Blue Coral and Green Coral have been added as loot items. • Daybreak Blue Coral and Prairie Green Coral have been added as loot items. ◈ Quest summary of the quest [Cooking] Memory in Your Hands #1 has been changed to fit the changed Cooking recipe. ◈ A new way to obtain Knowledge of ‘Mark of a Secret Organization’ has been added. If you obtain the Knowledge of the following monsters below first then speak with Marzana, a button to obtain the Knowledge of ‘Mark of a Secret Organization’ will be displayed. ◈ A new way to obtain Knowledge of ‘Bluish Sulfur’ has been added. 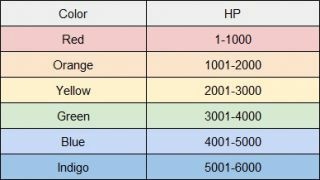 If you obtain the Knowledge of the following monsters below first then speak with Marzana, a button to obtain the Knowledge of ‘Bluish Sulfur’ will be displayed. ◈ A new way to obtain Knowledge of ‘Lost Piece of a Forbidden Book’ has been added. If you obtain the Knowledge of the following monsters below first then speak with Marzana, a button to obtain the Knowledge of ‘Lost Piece of a Forbidden Book’ will be displayed. ◈ It has been changed that in the Marketplace Notifications window, items will be listed in the order of most recently registered. • Fixed the issue where the number of registered items in the ‘Notification’ icon differed from the number of registered items on ‘Marketplace Notifications’ window. ◈ Fixed the issue where Knowledge obtainable for raising Amity was not being displayed in the NPC Amity window. ◈Fixed the overlapping of the item price and Silver icon. ◈ Fixed the issue where only a part of the warning message, “	<Beware! > There is a strong monster in your vicinity!” was being displayed. ◈ ‘Withdraw tax’ button in the Territory menu has been removed. ◈ It has been changed that if the text displayed goes out of the Conquest Status window box, will be abbreviated. • In addition tooltip function has been added to each icon. ◈ Game Tips on the bottom left corner of the game screen has been reworked. • 50% increase in item drop rate while defeating monsters. ◈ Due to the changes made on the Guild Bonus system, the Guild Bonus waiting time will no longer be displayed. ◈ Fixed the text missing issue in the Challenges (Y) tab UI. ◈ Fixed the issue where Concealment did not work with offensive guilds and appeared as though they were on the same team. ◈ Fixed the issue where certain Pets were stopped intermittently at spots where looting items were possible. ◈ Fixed the issue where system messages for defeating the opponent in Arsha server did not display. ◈ Fixed the issue where Conquest War ending time would be applied irregularly and territories would be liberated. ◈ We are aware of the issue that typing into the Search BDO WIKI window in Help (F1) window would trigger Hotkeys and bring up other UIs. This will be addressed soon. 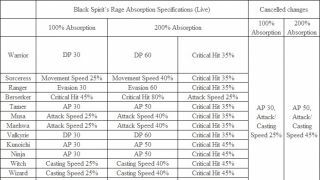 ◈ We are aware of the issue where Black Spirit’s Rage skill icon is being displayed on Warrior’s skills Pulverize, Merciless, and Flow: Slashing the Dead. This will be addressed shortly. ◈ We are aware of the issue where Transport Wagons and Cargo Ships appear to go off the trade routes. Please note that there is no issue with the actual Transport function. This will be addressed shortly.